Republic of Fiji Military Forces Commander, Rear Admiral Viliame Naupoto. 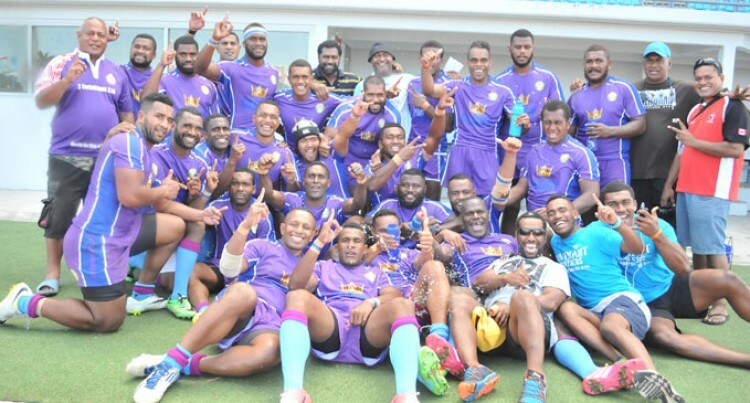 Jovesa Makasiale stole the show for Covenant as the side defeated DHL Raiwaqa 16-9 in a pulsating Suva Rugby Union RC Manubhai Escott Shield Premier Division quarterfinal at the ANZ Stadium in Suva last Saturday. And he is expected play a key role in the semifinal against National Fire Authority while the other semifinalists are Army and Police. Raiwaqa was favoured to win but Makasiale, who returned from three-month stint with the Counties Manukau in New Zealand, superbly made the difference with his kicking ability. With only a few minutes left and locked at 9-9, Makasiale converted a try to secure the victory. Semi Keli was the star for Covenant. The towering forward scored the winning try for the side. Covenant coach Sakaraia Labalaba praised his players. “I’m impressed with their performance,” Labalaba said.